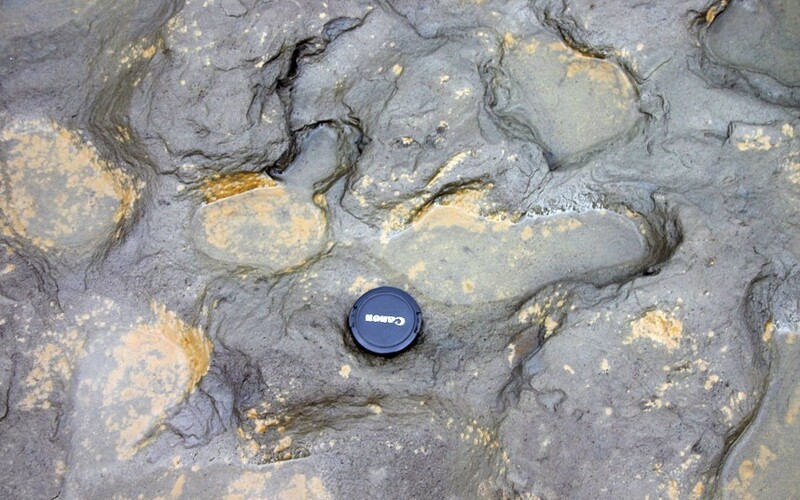 Scientists have discovered the earliest evidence of human footprints outside of Africa, on the Norfolk Coast in the East of England. The footprints are more than 800,000 years old and were found on the shores of Happisburgh. They are direct evidence of the earliest known humans in northern Europe. Details of the extraordinary markings have been published in the science journal Plos One. The footprints have been described as “one of the most important discoveries, if not the most important discovery that has been made on [Britain’s] shores,” by Dr Nick Ashton of the British Museum. “It will rewrite our understanding of the early human occupation of Britain and indeed of Europe,” he told BBC News. The markings were first indentified in May last year during a low tide. Rough seas had eroded the sandy beach to reveal a series of elongated hollows. Such discoveries are very rare. The Happisburgh footprints are the only ones of this age in Europe and there are only three other sets that are older, all of which are in Africa.